US Attorney General Jeff Sessions was fired by Donald Trump on Wednesday (Nov 7) after enduring more than a year of bitter criticism from the president over his decision to step aside from the Russia investigation that has dogged the White House. "At your request, I am submitting my resignation," Sessions said in the first line of a letter released by the Department of Justice. 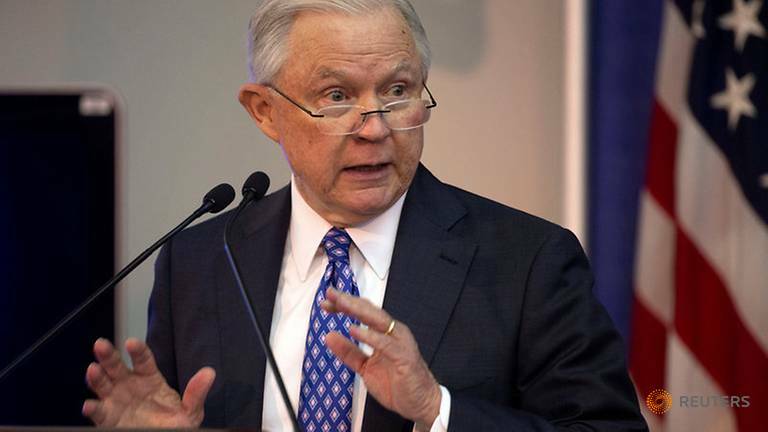 The departure of Sessions, who was the first US senator to back Trump's presidential run in 2016, was long expected, and came one day after Republicans lost control of the House of Representatives but boosted their Senate majority. Trump had repeatedly assailed him publicly for not taking a tougher approach to illegal immigrants, and accused him of protecting Robert Mueller's investigation into whether the Trump campaign colluded with Russians - an investigation that is also examining whether the president himself obstructed justice. Trump announced via Twitter that Sessions' chief of staff Matthew Whitaker will be acting attorney general. "We thank Attorney General Jeff Sessions for his service, and wish him well! A permanent replacement will be nominated at a later date." Sessions' firing immediately threw into question whether the 18 month old Mueller probe will be able to continue unimpeded. To Trump's great anger, on March 2, 2017 Sessions recused himself from involvement in and oversight of the nascent Russia collusion investigation because of his own Russian contacts during the 2016 campaign. Instead, he gave Deputy Attorney General Rod Rosenstein the authority to oversee the probe independently. A replacement for Mueller though would have no such constraints, potentially allowing Trump to hamstring the investigators. Earlier Wednesday Trump denied he would shut down Mueller's team, but still labelled the investigation an illegal "witch hunt" that had spent "millions" of dollars. But there has also been speculation Trump could try to kill or suppress the 18 month-old probe, pressing his view that Mueller leads a team staffed by Democrats operating under an illegal mandate.